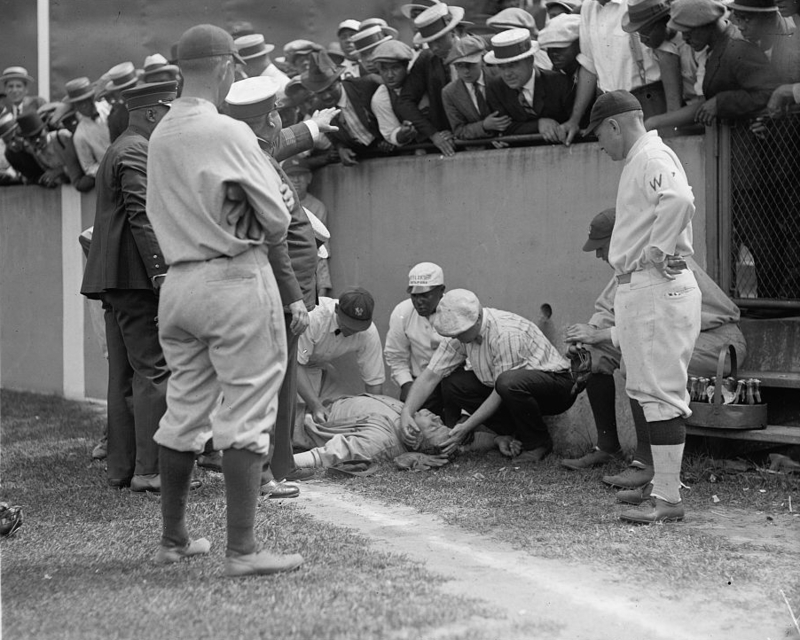 When Babe Ruth was knocked unconscious for five minutes after crashing into an outfield wall in 1924, he was examined in much the same way he would be today. The protocol immediately following a concussion hasn’t changed much over the years. The major difference today is what happens next: The Babe returned to the game and even played in the second game of a double header later that day. Someone who sustains a similar injury in 2013 won’t be returning to the field that day. There is a difference between men and women in response to concussions. Women show more post-concussive symptoms and are slower to recover than men. A concussion is a functional disturbance to the brain and doesn’t involve any structural damage (as would be the case for traumatic brain injury). There are problems involved with assessing high school athletes who may have suffered a concussion, such as: (1) they may deny any symptoms in an attempt to get back on the field or (2) they may exaggerate symptoms to get out of school or even in the hopes of strengthening their case should they sue the school. After a concussion, there should be a gradual increase in activity, not weeks of complete inactivity or bed rest, as is sometimes recommended. So maybe a student should start with a half-day of school or not take any graded exams but he or she shouldn’t stay out of school entirely. Who is going to develop Alzheimer’s among the concussion population? The APOE gene may hold the answer. Depending on which variant of the gene you have, you may be more or less at risk for long-term brain degeneration. In the future, perhaps people with a particular (higher risk) variant would be advised not to play contact sports. life. Perhaps Seau had the “bad” variant of the APOE gene and Aikman doesn’t. Looking at brains is, according to one expert, “phenomenally confusing.” It’s hard to figure out what’s going on. Knowing the patient’s clinical history is very important. Every big collision may reduce the number of axons in the brain. Over time, losing axons adds up. Media coverage may be heaviest with the NFL, but traumatic brain injury extends beyond professional football, not just to kids playing sports, but the military and even victims of domestic violence. managing head injuries, establishing baseline tests and taking decisions about returning to the field out of coaches’ hands. While a sport like football remains inherently dangerous, medical experts can help players get the care they need. In upcoming classes, I’ll be learning about (and reporting on) what happens in the brains of athletes and the fans watching them.